It’s now almost two years on, since that fateful day at the Mira Hotel in Hong Kong when Edward Snowden divulged secret NSA documents detailing unlawful and on-going spying programs carried out in the name of security. Sure we knew the government had ‘a’ spying program, and we’ve all seen Hollywood movies with fictional technology that allowed governments to carry out un-restricted surveillance, but no one in their wildest dreams would have imagined a government having access to ALL phone calls, ALL e-mails, ALL text messages and ALL transactions…and then storing that information for ALL time. In other words, if you want to search smartphones, computers or e-mail accounts, you’ll need a warrant. And the law goes on to state, that warrants can only be issued, upon probable cause, that must be affirmed by a Judge providing the necessary oversight. Finally, even after a warrant is issued,it must state the place of the search and things to be seized. A warrant shall not act as a blanket approval for law enforcement to look through all aspects of the citizens life, but only that which is explicitly stated in the warrant. You don’t have to be Einstein to see that a bulk surveillance program, that captures all meta-data of ALL phones calls in the Unites States is unconstitutional–no matter which way you slice it. Did you really have probable cause on ALL American citizens or ALL Verizon customers? It takes a lot of legal contortionism and greased up lawyers to slip a surveillance program of this magnitude under such a tightly written constitutional amendment, the founding fathers are not happy!! The worst part is, us here in Malaysia, as Malaysian citizens–we have no such guarantee of privacy from a Foreign Government tapping into our communications. Heck, even American citizens on Foreign soil don’t qualify for protection. So it’s safe to say the NSA probably knows more about your internet habits than anyone else on the planet, and that should worry you. But let’s dive deeper to find out Who Edward Snowden really is (or was), why he did it, and how he did it, before we focus on the biggest question of all–why is this so important, even to us Malaysians? To any NSA and FBI agents reading my email: please consider whether defending the US Constitution against all enemies, foreign or domestic, requires you to follow Snowden’s example. The short story is, Edward Joseph Snowden (who goes by ‘Ed’), is an American Hero. T he long story starts in North Carolina, where he was born to a middle-class American family, and one where nearly every member worked in government. He viewed government service as a noble cause and joined the army shortly after 9/11 to help liberate the Iraqi people, but as time went on, doubt begun to creep in, as his training was more focused on killing arabs than of liberation. A training incident that saw both his legs broken, ended any hope of being deployed in Iraq, and soon after he was discharged from the military. In was in this new role in Switzerland that Snowden begun contemplating whistle-blowing, his high level access allowed him a view of what the government agencies were really doing, the privacy of citizens that it invaded with impunity and lives it sometimes destroyed almost without noticing. The only thing that held him back was a promise by a then new President that he would bring change and transparency, under the banner of “Yes we Can”. But Snowden felt that things only got worse under the Obama Administration, urging him further to his call to action. By now Snowden was back working for the NSA, and stationed in Japan through a contract with Dell and somewhere between then and 2012, Snowden decided he couldn’t sit idly by and watch the American constitution be stripped of its relevance by the very Government who swore to uphold it. He was transferred to Hawaii in 2012, and spent his time downloading the documents we now know, (or at least Glenn Greenwald knows), he took pre-cautions to ensure that the documents he downloaded both exposed the wrong-doings of the NSA, but never put anyone or program at risk. But there was a snag. 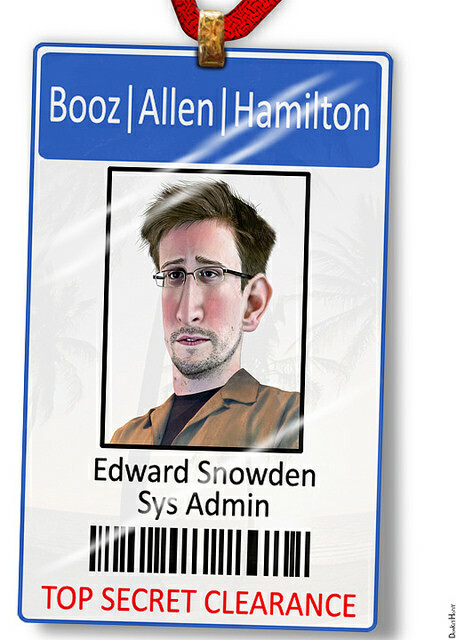 There was a set of documents he couldn’t obtain with his current role, and consistent with his beliefs and heroism, he took a pay-cut to get a new job at Booze Allen Hamilton in order to get the correct credentials to download those documents. Greenwald reports that the position in question was an Infrastructure Analyst, and it allowed Snowden a “complete picture of the NSA spying program”. The truth is that up until this point Edward Snowden could have cruised, he was a tech geek earning a $200,000 salary, working out of Hawaii, and had a long-term girlfriend. This is not a crazy loner bent on revenge, this was a guy who by all accounts was living the American dream. To top it off, the NSA is like the Google of government agencies, it spends Billions every year on tech, and for someone like Snowden that’s like working in a toy shop that sells candy and bacon covered gummy bears. This is heaven for techies. What really strikes me though is that he was just 29. If I had a life that good at 29, I wonder if I would rat out my government? I’d probably work for a homicidal maniac if I had just a fraction of what Snowden had, and that makes it even more heroic, because I wouldn’t have done it, and if most other people are honest, they wouldn’t have either. 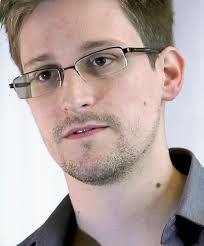 Hero or not, in May 2013, Snowden took off with his documents to Hong Kong, where he arranged to communicate with Glenn Greenwald–Greenwald took some convincing, but eventually got a plane to Hong Kong, and on that fateful day in the Mira Hotel met a man with rubiks cude that would change his life forever. Understanding Snowden is key to the story. Some media outlets try to make the story about him–it isn’t, it’s about the documents, but Snowden is the quintessential whistle-blower, he worked deep in the government, and realized that the American government was lying to it’s citizens, and believed that the lying should stop. For example, when the NSA lied to Congress without blinking an eye. 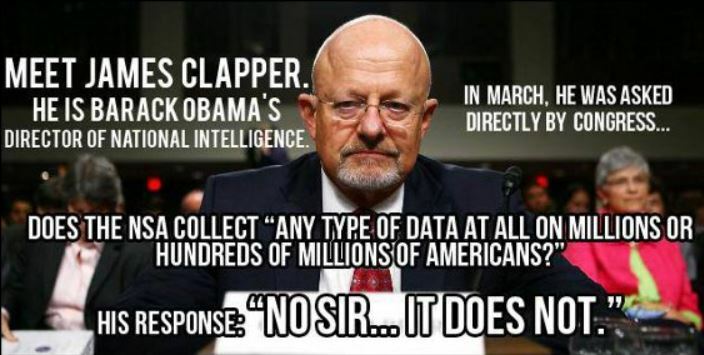 In 2012 congressional hearing, one year before Snowden made the revelations, Senator Ron Wyden asked NSA director James Clapper a poignant and simple question, “Does the NSA collect any type of data at all, on millions or hundred of millions of Americans”, to which the reply was “No Sir, it does not”. If you watch the video here, you can see that Senator Wyden is clearly shocked, and there’s a back-story to the question. Senator Ron Wyden is a member of the Intelligence Committee, which means he’s one of the select few members of US Congress that is privy to the briefings from the NSA. He had(!!) to know about things like PRISM and XKEYSCORE even before the hearings. Or so we think. 6 months after the hearing but still before the Snowden revelations, the EFF reported the Ron Wyden,a full-fledged member of the Select Committee on intelligence, first found out about warrantless wire-tapping was from the New York Times!! Congress is like the US Parliament, and lying to Congress is a felony–a crime that people ‘should’ go to jail for. More importantly, the NSA never briefs ‘Congress’ they only brief the Senate Select Intelligence Committee, which is a distinction that gets lost in the justification for the surveillance program. When Obama and Bush say “we briefed congress”, the reality is that they only briefed the Select Intelligence Committee and that Committee is then sworn to secrecy and unable to raise the alarm to the American people (or even the global internet users), so in truth briefing congress provides no oversight at all, because there is no mechanism for the over-sight to be effective. And things go get better with the other branch of government–the courts. One day , when asked how long the President would keep unchecked powers, President Bush responded that the American people were protected by other Americans who were sworn to uphold the law, he then re-iterated that everything they did had gone through congress, and that the courts would provide sufficient oversight to the issue. First of all, as we’ve seen, a briefing congress only covers the Intelligence committee (just 8 people), and those 8 people are sworn to secrecy, and when a public hearing is carried out, the NSA and probably other government agencies have no problem lying their pants off to protect their secrets. So the legislative branch isn’t exactly on top of things here, but what about the judiciary. One of the key documents that Snowden revealed to the world were FISA court documents. FISA is the Foreign Intelligence courts and were meant to be ‘secret’ court to hear on matters of intelligence and approve the wiretaps that were deemed sensitive in nature. However, once the documents were revealed it became apparent that the FISA court was nothing more than a rubber stamp, akin to American Idol if Paula Abdul was the only Judge. Out of more then 35,000 applications brought to the FISA court, only 12 were declined, which really signals a rubber-stamp more than the oversight. It was in this context, where the Executive, and the agencies operating under the executive could act with impunity without any oversight, that the need for a Snowden grew, and fortunately we got a Snowden, but as heroic as Snowden is, we also need to thank a few other American heros that came before. The ‘giants’ on whose shoulders Snowden sat on in order to see farther. Years before Edward Snowden revealed to the world the extent of Government Surveillance, there were other NSA employees who chose to try to work out the chinks from within, people like William Binney and Edward Loomis. These guys were lifers at the NSA, giving as much as thirty of their lives working in the agency (they were working at the NSA before Snowden was born), and when they tried to expose the warrantless wire taps and privacy invasions, to get the government to change their stance, they took a hit from the very agency they dedicated their lives to. In September 2002, he, along with J. Kirk Wiebe and Edward Loomis, asked the U.S. Defense Department to investigate the NSA for allegedly wasting “millions and millions of dollars” on Trailblazer, a system intended to analyze data carried on communications networks such as the Internet. Binney had been one of the inventors of an alternative system, ThinThread, which was shelved when Trailblazer was chosen instead. Binney has also been publicly critical of the NSA for spying on U.S. citizens, saying of its expanded surveillance after the September 11, 2001 attacks that “it’s better than anything that the KGB, the Stasi, or the Gestapo and SS ever had” as well as noting Trailblazer’s ineffectiveness and unjustified high cost compared to the far less intrusive ThinThread. He was furious that the NSA hadn’t uncovered the 9/11 plot and stated that intercepts it had collected but not analyzed likely would have garnered timely attention with his leaner more focused system. After he left the NSA in 2001, Binney was one of several people investigated as part of an inquiry into the 2005 New York Times exposé on the agency’s warrantless eavesdropping program. Binney was cleared of wrongdoing after three interviews with FBI agents beginning in March 2007, but one morning in July 2007, a dozen agents armed with rifles appeared at his house, one of whom entered the bathroom and pointed his gun at Binney, still towelling off from a shower. In that raid, the FBI confiscated a desktop computer, disks, and personal and business records. The NSA revoked his security clearance, forcing him to close a business he ran with former colleagues at a loss of a reported $300,000 in annual income. In 2012, Binney and his co-plaintiffs went to federal court to get the items back. Binney spent more than $7,000 on legal fees. Learning from the mistakes of Binney and Loomis, Snowden made sure he would at least give himself a chance. For instance he chose to flee to Hong Kong instead of stay in the United States, where he would be outside the reach of the NSA and other US Federal Law Enforcement. In order to protect those he loved, he never revealed his intentions to anyone, thereby ending his relationship with his long-time girlfriend who was staying with him at the time, and severing most communications with his family. In the documentary CitizenFour, you get glimpse of the pain and angst that Snowden must have faced, when he learns the an NSA agent and a ‘Human resource person’ visited his home, shortly after the Verizon leaks, and that for unknown reasons his rent cheques weren’t being cleared anymore even though he setup a system to automatically bank them in. He also almost breaks down when he learns that construction trucks are suddenly parked outside his house where his girlfriend is still living in. The details of his personal life, while unimportant to the story are nevertheless essential to appreciate because it represents the enormous sacrifice Snowden made, to make the public aware of the illegal activities conducted by the NSA. He now lives as a pariah, in order to give the American people (and us), the information we now have. Snowden had the conviction and determination to follow through on what he believed was the right thing, to expose what the government was doing and allow a debate to happen. A debate for example over Meta-Data and Content. As much as we all love Obama, and the image of America that he projects –there are things that set Obama apart from his predecessor, but there are things that make him look like Bush on Steroids. There’s a whole library of information as to why this is an ignorant statement, but I believe the simplest answer to this question is actually a question. If meta-data isn’t that intrusive onto citizens, than can we have the meta-data of the phone calls of all members of congress, or would you be willing to share your phone records with a total stranger? By looking at WHO you called, and how long, and how often, and how consistent those calls are, relationships can be learnt that tapping the content of a single phone wouldn’t reveal. We’re not just talking about mistresses, and affairs here, we’re talking medical records, sexual orientation, business associates, political leanings and just about everything else…all you need is the meta-data. Notice also, the statement about the over-sight that Congress and the FISA courts provides–by now you know how empty a statement that is, and the only reason we know this is thanks to Edward Snowden. The US isn’t just hacking the computer systems of other governments, they seem to be hacking their own political system of government, and are doing a fine job at it. Finding loop holes in a system meant to provide over-sight to basically disable that over-sight is no different from hacking a computer systems authentication code to logon on without any credentials. One way to shut-down whistle blowers is by ensuring the narrative used is one of a spy, exposing government secrets, and then use the laws for spies on those whistle-blowers. The President who promised more transparency than any other President in history, is also the same guy who used the Espionage act more than ALL former President combined! Seems a strange thing, to promise transparency, and at the same time prosecute whistle-blowers. the government has used the Espionage Act 10 times to prosecute government workers who shared classified information with journalists. If we push back to 1945, there is one more case. So of those 11, seven have taken place while Barack Obama has been president. The espionage was enacted to prevent citizens from sharing secrets with the enemy at a time of war. Edward Snowden, the latest person charged with violating the act, shared his disclosure the american people. Does that mean the Obama Administration views the American people as the enemy of Government? Points to ponder now isn’t it. And before we wrap this is extremely long piece, lets evaluate the political consequences of the Snowden revelations. Even up to the day Edward Snowden revealed what the NSA was up to, it was impossible to think that any more 10, or 20 Members of US Congress would vote for a bill that threatened to de-fund a ‘critical’ NSA program. After all the patriot act, which grants the NSA most of its existing power was passed almost unanimously. The NSA was on the front lines of the war on terror and de-funding the program would have been viewed as aiding the enemy. Shortly after the Snowden revelations though, things changed. In a remarkably close vote, and one that wasn’t done along party lines, Congress decided to keep the NSA spying program–but only just. Had 7 out of the more than 400 members of Congress chosen to vote another way, the NSA would have to end its spying program. The margin of 7 votes was less than 12 members of congress who chose not to vote. That’s political change if I ever saw it. But what does this mean to Malaysians in Malaysia? Does it really matter? It does, for many reasons you wouldn’t want a foreign government spying on you, or getting at data that they shouldn’t have. But maybe you think you’re not that interesting to the NSA, and you’re protected by you being a nobody. Well do you think the Malaysian Prime Minister would be an interesting target then ? Or the Malaysian Foreign Minister, or the team who are negotiating on behalf of Malaysia in International treaties like the TPP, how about the top echelons of Petronas, are they suitable targets for an agency of a foreign government? And do you think these important Malaysians live outside the scope of NSA surveillance program, or are they well and truly inside of it. We all know of the surveillance carried out on American allies including the German Chancellor Angela Merkel, on top executives of Petrobras and even the Mexican President (and presidential hopefuls). Does this erode your trust in America, and do you trust American technology? 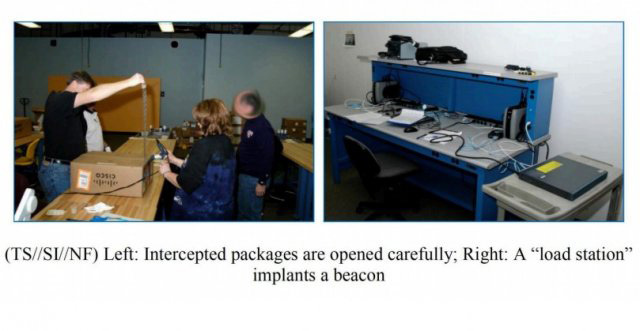 Would you buy Cisco products, knowing that part of the NSA programs involved intercepting deliveries to Cisco customers and implanting high-end networking equipment with specially tailored covert firmware. Would you buy Microsoft products knowing that the NSA is fully aware of exploits on the Windows Operating System before they are published or patched…and maybe you would, but should government infrastructure be run on these products? 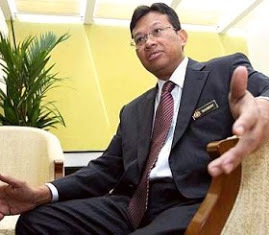 Ultimately, we live in a country where a large majority of our members of Parliament run their email on American services like yahoo and Gmail, even our very own Minister of Communication has his email run on Gmail.Do you think that’s wise? Not to mention even Jho Low apparently uses gmail. Still don’t think the Snowden Revelations have any impact on Malaysians? I invite you to think again.